The longtime biking enthusiast died in a freak accident that does raise some questions. Today, I will say goodbye to Rob ‘Sugs’ Hofmann. 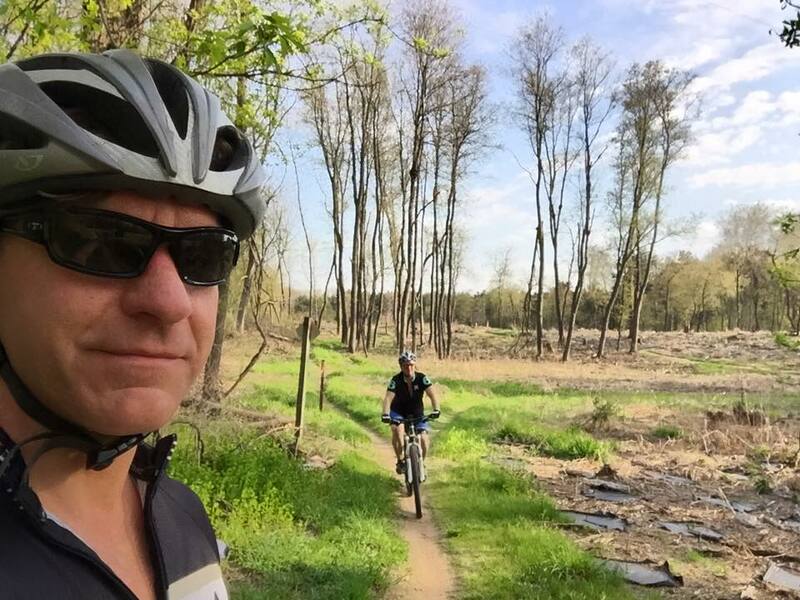 I’ve said goodbye to Rob countless times after mountain bike rides with him along the Menomonee River and on Kettle Moraine trails. I’ve said goodbye to Rob after almost most every Santa Cycle Rampage. I’ve said goodbye to Rob after a beer. It is hard to imagine this is the final goodbye. Rob and I were never “besties.” But he was certainly one of the best. He seemed to live and ride with a lust for life that would make Iggy Pop jealous. As big as he lived, he somehow never crossed the line that I have such a hard time not veering beyond. Fun and original without artifice, Sugs was one of those guys you are always happy to run into on the trail, at the start line or in a bar. Rob was a long-time Bike Fed member, IMBA member and always mentioned his appreciation for the work paid advocates do. Stuff like that is what most of us work for. Sure we get a paycheck when many local trail builders and neighborhood advocates don’t, but most professional advocates I know care more about green lanes than greenbacks. Heartfelt thanks from members like Rob are what keep most of us swimming upstream. As I said, I can’t pretend to be one of Rob’s best friends, but I knew enough of him and his wife Candy to admire their relationship. I’m sure they had their problems like all of us, but you won’t find too many romances like theirs outside of the early Bruce Springsteen songs popular when the two of them fell in love. Candy has devoted her life to her family and helping others as a nurse, and always with that infectious smile. 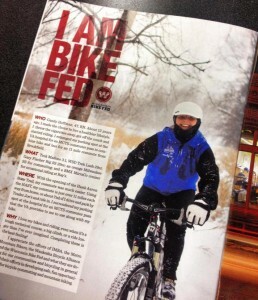 She sets such a high standard for all things good that we featured her in one of the “I Am Bike Fed” pages in our magazine. 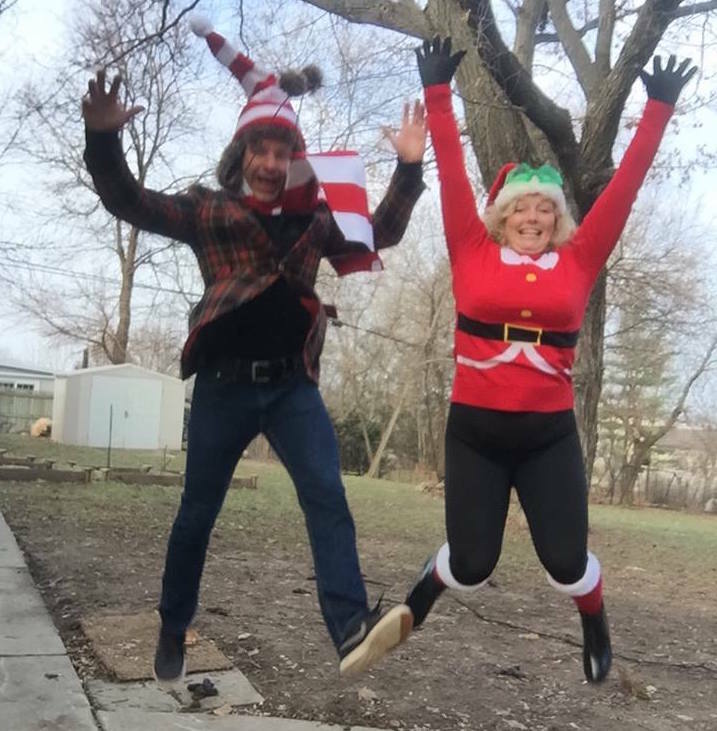 How I always think of Rob and Candy. When I think of Rob, I think of Candy. When I think of Candy, I think of Rob. I can’t imagine the pain of her loss, but I know from riding with her that she is one of the strongest people I have ever met. Candy, I know you have family and close friends to support you, but you always have a hug waiting here. As impossible as it is to imagine now, I know some day we will be able to ride and smile together again. Always one of my heroes. As much as I miss him, and as emphatically sorry as I am for your loss, I can honestly say that I can smile through my tears when I look at the photos of you and Rob and think of the rides we shared together. Perhaps it is true, the flame of life that burns twice as bright, burns half as long. I am grateful that I was able to bask in Rob’s warmth. Rob ‘Sugs” Hofmann died tragically Saturday, August 1st, at the too-young age of 51. He died as a result of head injuries he sustained in a nighttime crash on Selig Drive, which is a privately-owned road by Miller Park and part of the Stadium District. 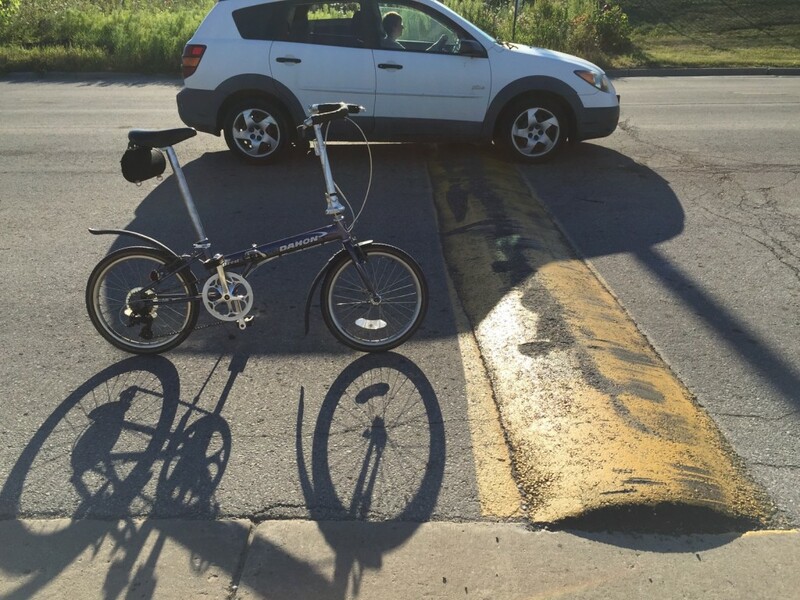 We don’t know exactly what happened, but he was found near one of the speed bumps installed on that road. Rob was not wearing a helmet when he crashed, which is a reminder to all of us about the risks we freely choose to take in life. 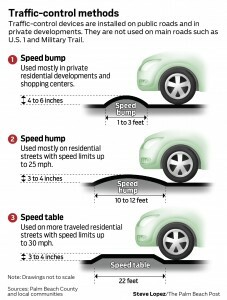 That said, the speed bumps are not properly designed for a road with a posted speed limit of 25 mph and they are a hazard to bicycles, motorcycles and emergency vehicles. The speed bumps on Selig Drive have a narrow profile more appropriate for a parking lot with speeds of 5 mph. Speed humps intended for use on a through road with a 25 mph posted limit that has bicycle and motorcycle traffic should be much wider and ideally have profile with a sinusoidal curve. When I worked for the City of Milwaukee Dept. of Public Works, I developed and managed their traffic calming program, which includes speed hump designs that are bicycle and motorcycle friendly and safe for emergency vehicles. I am already working to get the improperly designed speed humps improved to make them safer for bicycles, motorcycles and emergency vehicles. I have spoken with the City of Milwaukee Engineer and it appears that the Stadium District facilities staff did meet with DPW and their traffic engineer (who oversees the City Neighborhood Traffic Management Program and approves speed humps) and he offered the city’s design for speed humps. Because Selig Drive is a privately-owned road and managed by the Stadium District, they were not required to follow that advice from the traffic engineer to install the wider humps and instead put in speed humps intended more for parking lots. I have asked the City Engineer if DPW could reach out to the Stadium District to encourage them to improve the design of the speed bumps so they are safer, or post a 5 mph speed limit on Selig Drive. I have also reached out to the people I know at the Brewers organization to see if they can put me in touch with the facilities manager at Miller Park. Even though it is a privately-managed road, because it is open to public traffic, it should comply with proper traffic engineering guidelines and the Manual of Traffic Control Devices. 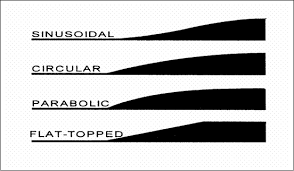 Sinusoidal curves are most friendly to bicycles and motorcycles. I mention all these details not to cast blame, but because everyone will ask. Rob was an educated, experienced rider who was well aware that helmets protect your head if you crash or fall. He made personal choices about risk, just as we all do when we get behind the wheel of a car, walk across the street, ride a bike or eat a cheeseburger. We don’t know exactly what happened, so we can’t blame the speed bumps, which were undoubtably installed by well-intentioned, but ill-informed people in an attempt to curb speeding or drag racing. I appreciate that Rob was riding his bike as much as I appreciate the intent of traffic calming. Both make us as individuals and as communities healthier, safer, and happier. Now is not the time for admonitions, warnings or recriminations. It’s the time to support those suffering heavy loss and nurse their wounds until they can speak for themselves. So while I will not cast stones in despair, I will do all that I can to correct the speed hump design that may have caused Rob to crash. This I promise in Rob’s memory. For more about Rob and to say goodbye in person, see this. Once the question of “Gruber or Hupy?” Is answered then maybe you can be designated as the plaintiff’s speed bump expert? PS: in Wisconsin, the plaintiff’s bar pushed through a law that mandates that a person being sued by a helmetless motorcyclist is not allowed to argue contributory negligence via the failure to wear a helmet. This despite incontrovertible evidence that helmet use prevents traumatic brain injury and death. First, I’m so sorry to hear about Rob Hofmann. Really sad to hear what happened to him. Second, @Frank Galvan, your statement that there is “Incontrovertible evidence that helmet use prevents traumatic brain injury and death,” is incorrect. Do helmets provide some protection? It certainly “seems” reasonable. To what extent? It’s in dispute. It’s not necessarily applicable to Mr. Hofmann’s story, which is a freak accident, but generally speaking its just not fair to blame bicyclists for not wearing a helmet when the benefit of doing so is completely debatable. At this point nobody is looking for an attorney. I did speak with Corporate Counsel for the Stadium District and senior staff at City of Milwaukee DPW, and based on those conversations I am confident the issue of the problematic speed bumps will be resolved. Until that time, people on bicycles and motorcycles should be cautious on Selig Drive.